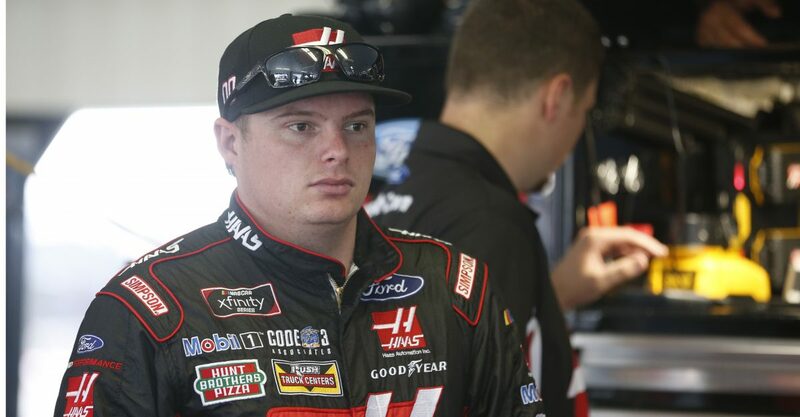 Cole Custer started first, finished 25th. Custer piloted the Haas Automation Ford in the lead for the first two laps. He raced inside the top-five until crew chief Jeff Meendering radioed him to the pits under green with three laps to go in Stage 1. He stayed out of the pits when the stage ended. Custer started first, finished second to earn nine bonus points. Custer powered the Haas Automation Ford to a commanding lead until he noted tight-handling conditions and surrendered the lead on the final lap of Stage 2. When the stage ended, he pitted for four fresh tires, fuel and adjustments. Custer started sixth, finished fifth. Custer ran in second place for the majority of the final stage. On lap 88, he was caught without help from behind and fell to the fifth position, where he ran for the remainder of the race. Custer earned his and Stewart-Haas Racing with Biagi-Denbeste’s third Xfinity Series career pole. This marks Custer’s ninth top-10 of the season and second top-10 at Pocono. It was Custer’s third top-five of the season and first at Pocono. Custer earned nine bonus points in the Pocono Green 250. Custer led twice for a total of 23 laps. Five cautions slowed the race for 18 laps with only 15 of the 40 drivers finishing on the lead lap. Kyle Busch led 64 laps to win the Pocono Green 250 earning his 92nd career Xfinity Series victory. It is his first victory of the season and first at Pocono. His margin of victory over second-place Chase Elliot was 2.852 seconds.